With hundreds of millions of plastic straws used every single day around the world, a seemingly small thing can and has added up to a much larger issue. One artist decided he was going to do something to start a conversation about our use of plastics and how they make their way into the ocean. 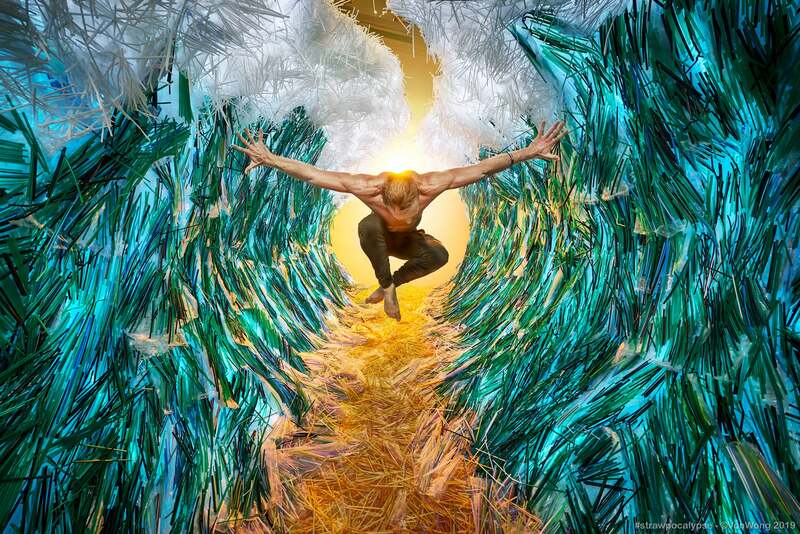 Benjamin Von Wong is a social-impact and multi-disciplinary artist that designs interactive experiences to bring the community together, and his latest project #Strawpocalypse produced some powerful images taken with his Sony Alpha camera. “My vision was to take used straws, over 100,000 of them, collected, washed, organized and stuck onto pieces of recycled plastics to create a piece to ignite conversation around the plastic ocean that we’re currently creating. The result? 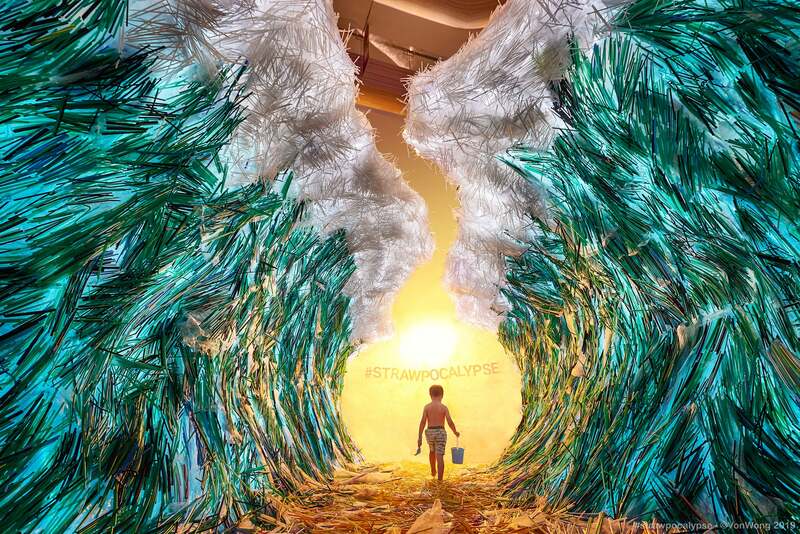 A massive #Strawpocalypse represented by the parting of the plastic sea,” says Wong. 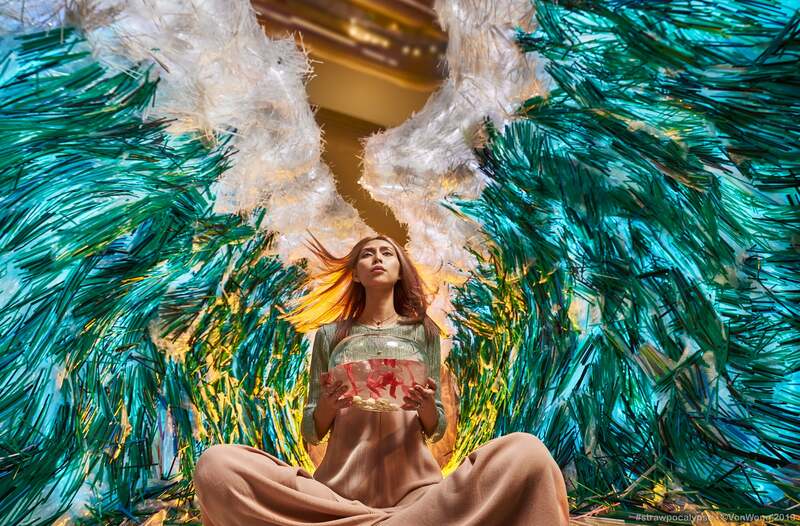 Working day and night, they used the straws, recovered plastic and LED lights to create a vibrant and colorful scene – and then he captured it all with the Sony α7R II. Once up and running at Estella Place in Ho Chi Minh City, Vietnam, people began stopping by to read the informative brochures and to take photos of their own – a testament to just how powerful art can be.